Just in case you couldn’t make it to this live event at the clinic, I recorded the entire workshop! And then we move on to the top 3 reasons these structures get aggravated. After that, I discuss successful treatment options (for lasting pain relief). In addition, there are quite a few good questions and stories from the audience. 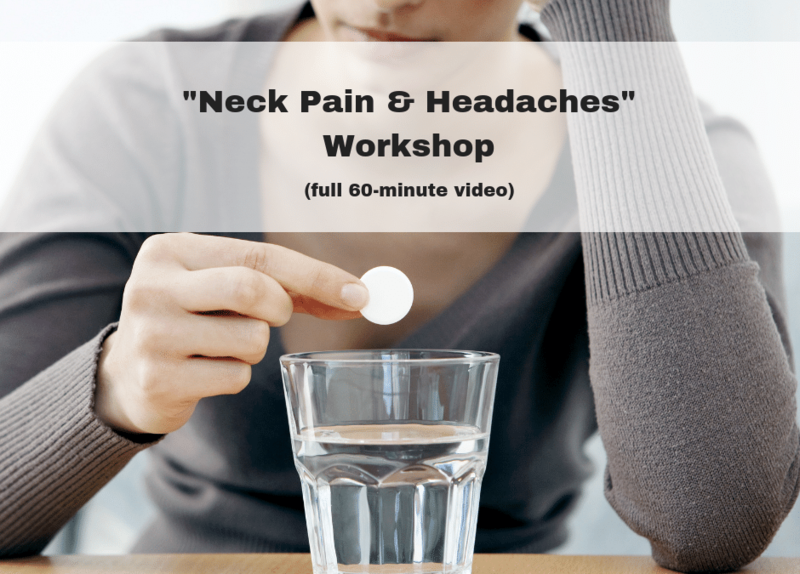 So if you’re suffering from neck pain, with or without headaches, the information in the video should really help! 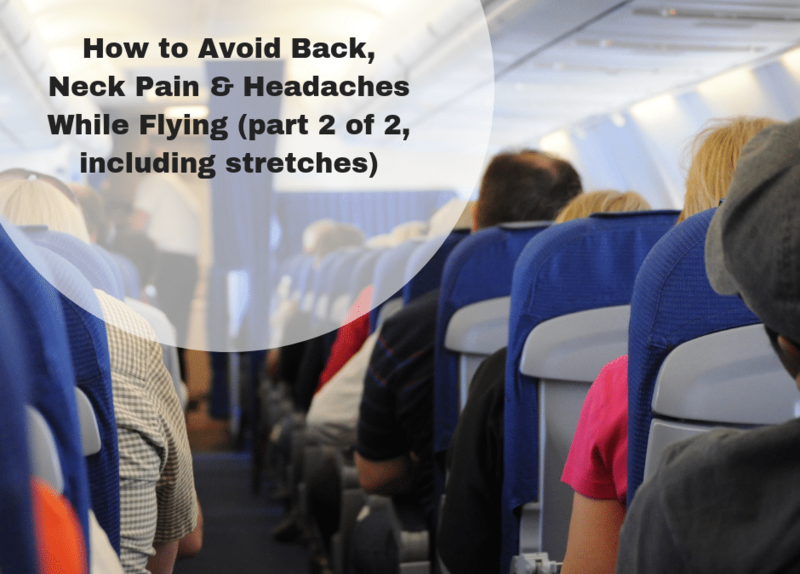 This week, I’m back with part 2 all about ways to avoid things like back pain, neck and headaches while flying. And today, I want to share some specific stretches with you. There are 5 in the video. The first 3 are for your neck and back, and the last 2 are for your leg muscles. I hope you enjoy the video and that the stretches help you stay out of pain while flying! And as I was looking at the people around me, it occurred to me how painful flying can be for some people. 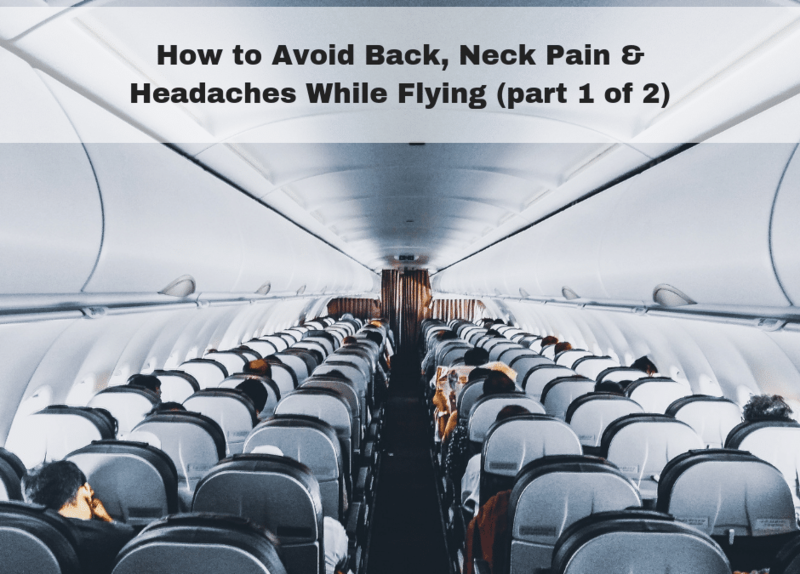 Between the uncomfortable chairs, the prolonged sitting, and the awkward neck posture, it’s easy to see how flying can be so hard on your body. This led to the inspiration for today’s video, which includes 8 tips to help you reduce back pain, neck pain and headaches while flying. 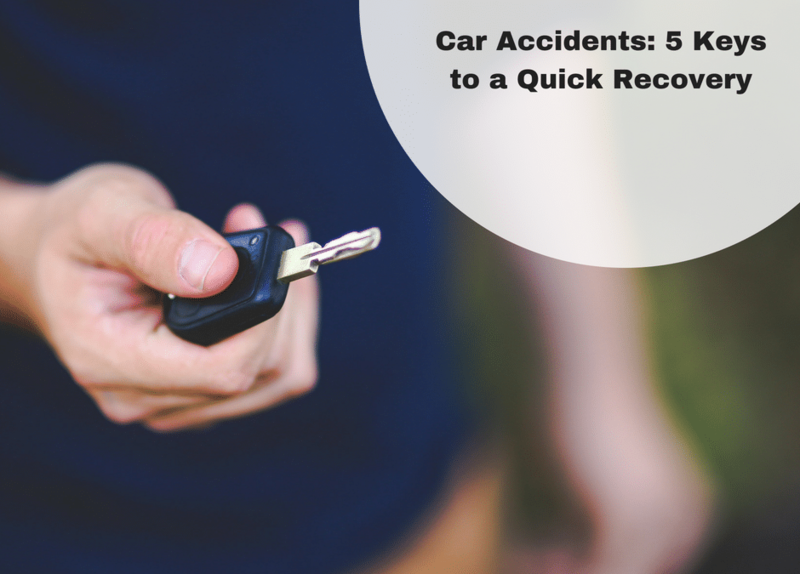 Car Accidents: 5 Keys to a Quick Recovery! If you’ve ever been involved in a car accident, you might already know that the recovery process can be painfully slow. While some people bounce back quickly, others will suffer with their pain for months on end. These people can be some of the most challenging patients we work with in the clinic, as things like annoying headaches, neck and shoulder pain, back pain and sciatica tend to linger due to the overall inflammation caused by the accident. If you work in an office and end up sitting for 6 or more hours a day, you’re probably familiar with tension and pain in your neck and shoulders. Often times this will lead to headaches, especially if you work in front of a computer. Lower back pain is also very common for office workers, due to the amount of compressive pressure on the joints and discs. During this presentation, I lay out a simple 3-step process to adjust your workstation to help you reduce these types of pain. And I also share 4 other simple tips to help you keep things like back pain, neck pain and headaches at bay. Enjoy!